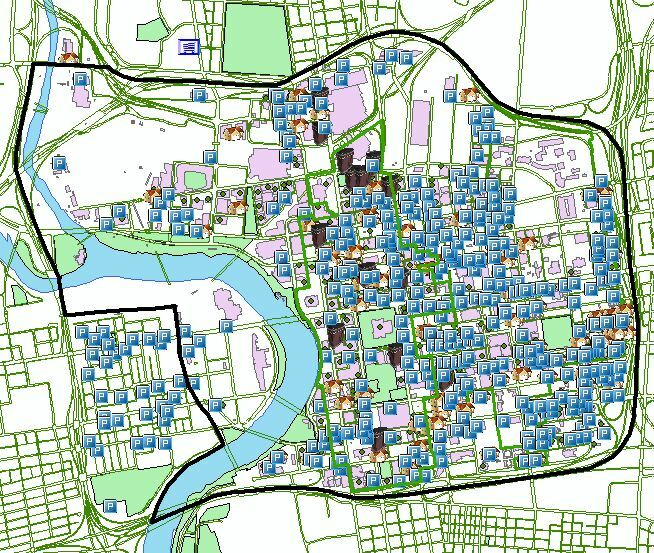 My GIS pals, Bryan and Marc put this parking data together. This is what parking looks like downtown. Shocking, eh? There are approx. 100,000 downtown workers and with this data, it shows that Land and Garage parking equates to roughly 73,000 spaces. That’s ALMOST 1 space per downtown worker. And ya’ll know that our downtown is NOT lively in ANY stretch of the imagination. It is clear that this city makes it too easy for people to continue driving their cars. Why would easy solutions like light rail and other modes of transportation pass here, drivers have it made. Our downtown streets have been surrendered to traffic and it doesn’t appear that this will change any time soon. Why can’t downtown succeed, it’s quite simple: Speed kills the sense of space and until streets like Broad, 3rd. 4th and South High (S. of Livingston) are road dieted and made to serve as public spaces, pleasant for all – not much will succeed downtown.